Aventuras Patagonicas > Aconcagua > Old Season Dispatches > Patagonicas News > All 2017-18 Aconcagua Expeditions have reached the Summit so far! 7 EXPEDITIONS = 7 SUMMITS! 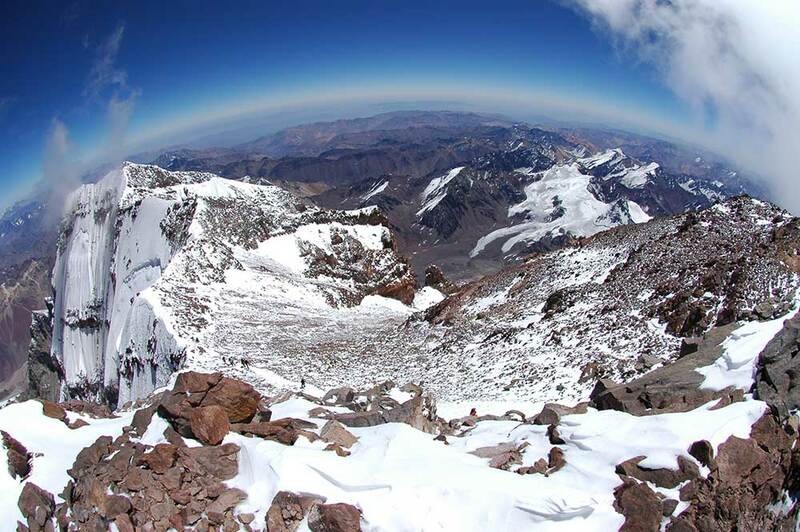 All 7 of our Aconcagua Expeditions have gotten to the top this season via our Ameghino and Upper Guanacos Traverse the best non technical route up the mountain, making it possible among the best high altitude treks on earth. Also all our 12 – day trips have reached the top! We still have 2 more trips left, one is at Camp 2 and the last one departs in about one week. This is an amazing achievement, we still have the highest Success Rate and the highest safety record as well. You can also follow each expedition here on our Dispatches page HERE. Aventuras Patagonicas is offering now for the 5th Successful season our 12 day Aconcagua trips. ALL TRIPS TO THE TOP! They are at High Camp and tomorrow is the big day!